New ransomware variants are popping up so quickly that computer security providers are struggling to keep up. Ransomware demands now average more than $1,000, and some go much higher. 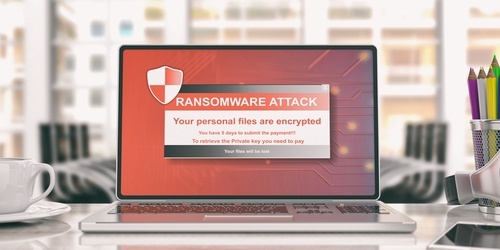 If you haven’t been the victim of a ransomware attack, it may be only a matter of time, and if you aren’t prepared, getting things right again can be very costly - not just for the ransom itself, but the lost productivity time and remediation costs. For the uninitiated, in a ransomware attack, hackers use one of several pathetically easy means to install software on the victim’s computer that encrypts some or all files until a ransom is paid. Many victims simply pay the ransom, because they’re “dead in the water” without their files and have no other choice. Even then, over 20 percent of victims who pay the ransom never get their file access back. Thus, a ransomware attack can literally put a company out of business. Because ransomware attacks are so easy and so lucrative, they have become the most popular type of malware attack. The success of ransomware depends on having important files stored on workstation hard drives. Fortunately, there is a range of solutions that can protect your data from ransomware. Good: Instead of local hard drives, store files on a file server on your network. The file server should be backed up regularly so that lost files can be restored. If a ransomware attack comes along, the infected computer can be re-imaged (restored to its original factory state) without losing any important files. Better: Store files on a cloud storage server; this is similar to storing files on a local file server, but without the hardware purchase and maintenance expense. If the cloud storage is compromised, it can be restored even more easily from backup than local storage can. Best: Migrate all computing and storage resources to the cloud, and operate on “dumb” terminals instead; these are easily reset to factory defaults if needed, and both storage and computing resources in the cloud can be quickly restored from backup. Also do not fall into the trap "the cloud is safe". Cloud Data and Saas application must be backed up at all times to ensure your business survives. The only way to defeat ransomware attackers is by not paying ransoms. By protecting yourself with cloud-based strategies, you won’t have to.